The study BlueChem (2012-2016) investigated the technical and economical feasibility of an incubator/accelerator for sustainable chemistry in Flanders and if the Blue Gate Antwerp site (the former ‘Petroleum Zuid’ site) can be a suitable location. The study, consisted of two fases after which a final business plan and technical plan were made. Both these fases were subsidized and supported by Agentschap Innoveren & Ondernemen. BlueChem will open in 2020 on the climate-neutral business park Blue Gate Antwerp, in the heart of one of the largest chemical clusters in the world. It is not easy in the chemical sector to convert promising innovations into new companies. It takes a lot of time, dare and money to move from a lab setting to an industrial production scale. BlueChem offers an answer via adapted infrastructure, tailor-made services with financial support and direct access to knowledge and expertise within an extensive network of international chemical companies, renowned research centers and the five Flemish universities. BlueChem is the right accommodation at the right place to allow pioneering ideas, with a strong focus on sustainability and the circular economy, to grow from lab experiment to new chemical companies. The incubator offers a mix of fully equipped and customizable labs, individual offices and flexible workplaces where starters, SMEs, large companies, research centers and knowledge institutes can come together. Catalisti will also take an active role in BlueChem to detect, start and guide promising innovation projects. 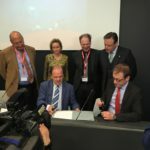 For the building project, BlueChem can count on the support of the European and Flemish government. 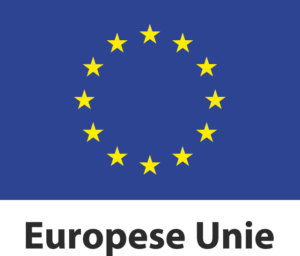 Europe invests more than 3.4 million euros through the Europees Fonds voor Regionale Ontwikkeling (EFRO). Flanders contributes 868.397 euros through the Hermes Fund. The city of Antwerp invests 4 million euros.